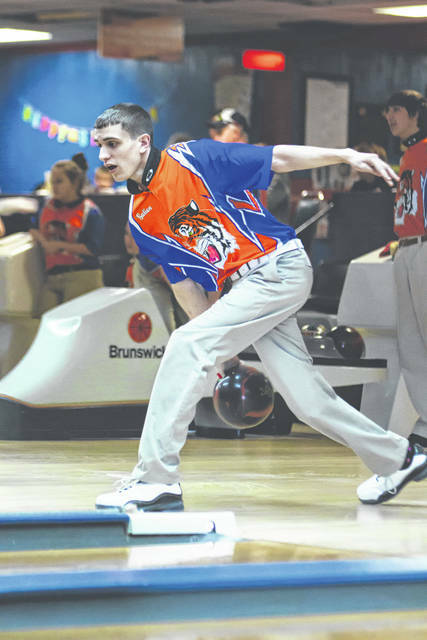 GALION — Back before the frigid air hit, the Galion Tigers bowling teams hosted the Crestline Bulldogs at Victory Lanes in their final home contest of the season. It would prove to be a positive for both Galion teams as the boys remained undefeated, upending Crestline; 2,242-1,847. 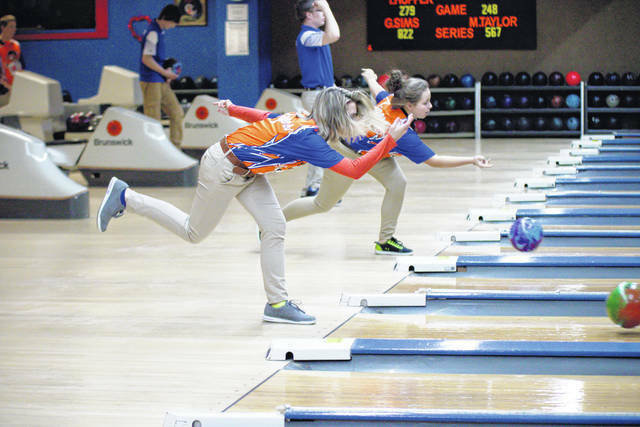 On the girls side of the alley, the Lady Tigers edged the Lady Bulldogs by a final tally of 1,362-1,320. AJ Randolph led the way for the boys, recording the high, two-game series on the afternoon by rolling a first game score of 213 and a second of 212, totalling 425. Austin Rinehart posted games of 215 and 185, totalling an even 400-series. Alan Evans finished the day with a 361 (179, 182) while Dylan Ruth racked up 321 pins (156, 165). Jacob Lear rounded out the scoring for the hosting Tigers, rolling games of 152 and 154, adding up to a 306-series. Galion led Crestline by a score of 915-687 after game one and went into the two-game Bakers Series up 1,813-1,499. The Tigers then proceeded to roll a 191 and a 138 en route to the 395-pin victory. For the girls, they were paced by Halle Kiss. Kiss posted a 293-series thanks to games of 138 and 155. Shiyenne Current rolled a 99 and a 139 to rack up 238 pins. Abby Crager posted a 213-series (99, 114) while teammate Maleah Stratton finished right behind her with a 212 (103, 109). Shelena Wilcox rolled the first game for the Lady Tigers and notched 122 pins while Paige Donahue participated in game two, recording a score of 108. Galion led by 19 after the first game at 561-542 and would enter the Bakers Series up; 1,186-1,138. In those two games, Crestline would actually out-roll their hosts; 99-97 and 83-79, but were unable to make up the difference as the Lady Tigers earned the 42-pin victory.